Mr. Davis began his teaching career in 1982 as the band director at Bowie Jr. High School in Irving, TX. After serving as assistant director to Mr. Jim McGahee at Chester W. Nimitz High School in Irving for two years, Mr. Davis moved to DeSoto, Texas where he served as the head director for 11 years at DeSoto West MS. During his tenure in DeSoto, Mr. Davis’ bands placed 1st, 2nd, and 4th in the state finals of the TMEA Honor Band Contest, performed at the Texas Music Educators Convention in San Antonio in 1996 as well as the Midwest Band and Orchestra Convention in Chicago in 1997. Mr. Davis’ DeSoto West MS Band was also the recipient of the John Philip Sousa Foundation’s Sudler Cup that is awarded to middle school band programs throughout the United States who demonstrate a uniquely high level of quality over an extended period of years. Mr. Davis currently resides with his wife, Tracy, in Rockwall, Texas and devotes his time to consulting with directors and developing methods and strategies to help to develop their students into better musicians. 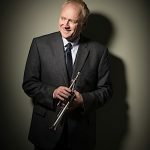 He operates a website devoted to pedagogical concepts as well as promoting other music related interests including, “The Leadpipe Project,” that is designed to introduce alternative methods of starting out the beginner trumpet student. His website is located at www.trumpetworx.com.